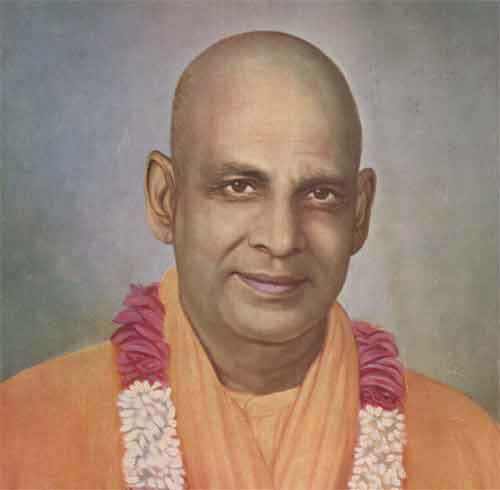 Swami Sivananda (September 8, 1887 – July 4, 1963), founder of the Divine Life Society, was a Hindu spiritual teacher and a proponent of Yoga and Vedanta. Swami Sivananda Quotes are mainly from the numerous books authored by the Swami. The quotes have also been taken from the monthly magazines published by Divine Life Society. This collection of 108 quotes of Swami Sivananda have been collected over a period of 12 years. Religion gives solace to the weary pilgrim in this earth plane. It explains life's mystery to him. It shows the path to the immortal abode. Be what you say. Say what you are. Be simple like a child. The greatest truths are the simplest; and so are the greatest men. Sadhana (spiritual practices) is catching hold of one ideal and sticking to it at all costs, even at the risk of life. Brahman or the Absolute is ever free. Know this. Know this and be ever free...free...free! He who sows courtesy reaps friendship; he who plants kindness reaps love. Do all the good that you can, in all the ways you can, to all people you can, at all times, with all zeal, strength and love. Practice non-injury. If you injure any creature, you really injure yourself, because only one Soul dwells in all beings. Destruction of desire is ‘Moksha’, or final emancipation. Become a child. Then alone the divine light and grace will descend. You can elevate others only if you have elevated yourself. This world can be saved only by those who have already saved themselves. A prisoner cannot liberate other prisoners. Ignorant persons attribute their pleasures to external objects. That is a serious blunder, in deed. Really, there is no pleasure in objects. There is neither pleasure nor pain in objects. It is all mental creation, mental perception, and mental jugglery. It is only the mental attitude or a certain kind of mental behavior towards objects that brings joy or grief, pleasure or pain. Maya has her powerful seat in the imagination of the mind. Be sincere at heart. Don’t run after the shadowy toys of name and fame. Name and fame are illusory. They are mere vibrations in the air. Nobody can earn everlasting name in this Mayaic plane. Care not for the little perishable things. Care for the everlasting Reality only. Man is unable to realize the ideal because his heart is not pure and his will power is not strong. He is weakened by desires. Impure thoughts and cravings cloud his understanding and hamper the realization of this love and unity. Annihilate selfish desires. Kill this craving for worldly pleasures. You will instantly grow strong. You will share the power of the Almighty Lord. You will have a clear understanding of the nature of the Lord, the nature of Truth. Everyone who rises to this height of spiritual splendor is a mighty power for the good. If you are balanced in pleasure and pain, gain and loss, victory and defeat, sin will not touch thee; you will not be affected by the fruits of your actions. Moksha or emancipation is not new acquisition. It is the realisation of what eternally is. Release is the eternal nature of Atman or the Self. The Atman is the Light of the universe. Live in it. It is, and therefore, all are. It shines, and therefore, everything shines. It is free, and therefore, all strive for freedom. Know this source of freedom, the root of bliss, and be free. A garland of rose flowers put around your neck or a dirty shoe hurled at your head should both mean the same to a Sanyasi. Care not for the little perishable things. Care of the everlasting Reality only. Air rushes into where there is vacuum. Absolute rushes into where there is no ego. The healthier a man is, the more harmoniously all his faculties develop. Health is wealth. Health is indeed a covetable possession. Without modesty beauty is ungrateful. Entertain good thoughts. Do virtuous actions. You can make your future better. The experience of the glory of spiritual life is preceded by the negation of the narrow life in the body and the mind. Service to living beings breaks the ego, opens the heart, expands the consciousness and deepens the spirit. Love softens the hard personality, melts the mind and takes you to God. Dhyana (meditation) exalts you to the superhuman nature, and reveals to you the treasure of wisdom within, the wisdom that is not given to the worldly, the wisdom that transcends the intellect, the wisdom that man cannot hope to attain until he casts off the shell of his individual ego by surrendering himself to the infinite light, the wondrous light which the spiritually blind do not behold. There is no end of craving. Hence contentment alone is the best way to happiness. Therefore acquire contentment. Simple living will help you to control thoughts. If you lead a simple life, you will have only very few wants and you will have to think a little only. The ocean is made up of tiny drops of water. Even so, Life is but an endless series of little details, actions, speeches and thoughts….And the consequences whether good or bad of even the least of them is far reaching. A wise man laughs and smiles through his eyes… The smile and laughter through the eyes influence people tremendously. No energy leaks if you smile through the eyes. He who hears the music of the soul plays his part well in life. Common sense is the fundamental factor in all spiritual disciplines. No rule is an eternal rule. Rules change from place to place, time to time and from one condition to another condition. The mind is like a strolling street dog. You are eating out of garbage cans. You who are heir to immortal glory, divine blessedness – why are you picking up these little droppings and trying to fill yourself? Sow love, reap peace... Sow meditation, reap wisdom. Thought must agree with your word and word with your deed. This will transform you into divinity. When you meditate, some irrelevant thoughts may enter the mind. Do not repress them. Ignore them. They will pass away. The essential condition of spirituality is the annihilation of desire for mundane objects. You should have Vairagya or dispassion. Some are very anxious to acquire name and fame. They make a show of themselves. They travel in cars, build clock towers and skyscrapers. They wear fashionable dress and employ a number of servants. They pose as great servants of society but every moment they try to acquire more fame. The slightest criticism upsets them. They cannot bear opposition. They wish that everyone should respect them. In spite of all this they do not get fame and hence get upset and restless. But if a man is really selfless he will not care for name and fame. He will do his work with great interest but will not expect any reward for it. Work itself is his reward. He will have no desire for fame. He will bear abuse. Only such a man will enjoy peace. He will get fame also; it will be his handmaid. But he will not be attached to it. Such a person alone can do real service to society. Therefore, give up all desire for fame. Work in a spirit of dedication. You will enjoy bliss. You will get fame also. Work with single-minded devotion and dedication. The love you bear to anything is an aspect of the love that you bear to Brahman. In essence, you are pure Soul. Desire, weakness, imperfection touch thee not. Thou art not the body, nor the mind. 'I', 'Mine', 'He', 'You', and 'Thine', 'This', 'That', 'Here', 'there', are all meaningless in the true sense. The Absolute is the only Reality. The Absolute alone exists. Once a devotee was distributing prasad outside a Hindu temple. Hundreds had gathered around him. They created much noise and confusion. No Prasad could be distributed. A small boy saw this crowd and ran into his house. He brought a big stick to the end of which he had attached a small basket. Standing away from the crowd with the help of the long stick, he took the basket very near the devotee. The devotee admired the boy's intelligence and immediately gave him a lot of Prasad. The crowd that had gathered was still fighting to get near the devotee to receive the Prasad! The Lord has with Him infinite Grace to be showered over all mankind. But people rush here and there, and want to get to the forefront. Even Sadhakas and devotees who crowd round temples and Ashrams aspire for position and rank! In the meantime, a simple child-like man, with a high degree of Viveka, approaches the Lord with the help of the long stick of meditation and basket of Bhakti. Living away from the maddening crowds, this Bhakta reaches the lotus-feet of the Lord first, because of his meditation and his devotion. The Lord is well pleased with his Viveka, his eagerness to avoid the crowd and reach a first place amongst them; and He is pleased with his meditation and devotion and grants him Divine Grace quickly. See God in all. Submit to God’s will. Then you cannot get angry. Become a man of measured words. If a man abuses or insults you, keep quiet. Identify yourself with Atman. Atman is the same in all. It can never be hurt or insulted. Once a Sanskrit scholar approached Kabir and asked him, “O Kabir, what are you doing now?” Kabir replied, “O Pundit, I am detaching the mind from worldly objects and attaching it to the lotus-feet of the Lord.” This is concentration. Concentration or Dharana is centering the mind on one single thought. Vedantins try to fix the mind on the Atman. This is their Dharana. Hatha Yogins and Raja Yogins concentrate their mind on the Six Chakras. Bhaktas concentrate on their Ishta Devata. Concentration is a great necessity for all aspirants. During concentration, the various rays of the mind are collected and focused on the object of concentration. There will be no tossing of the mind. One idea occupies the mind. The whole energy of the mind is concentrated on that one idea. The senses become still. They do not function. When there is deep concentration, there is no consciousness of the body and surroundings. When you study a book with profound interest, you do not hear if a man shouts and calls you by your name. You do not see a person when he stands in front of you. You do not smell the sweet fragrance of flowers that are place on the table by your side. This is concentration or one-pointedness of mind. The mind is fixed firmly on one thing. You must have such a deep concentration when you think of God or the Atman. The mind is compared to quicksilver because its rays are scattered over diverse objects. It is compared to a monkey because it leaps from object to object. It is compared to the inconstant air because it is unstable. It is compared to an elephant in rut because of its passionate impetuosity. All the above tendencies to oscillation is innate in the mental substance. Therefore disciplining the mind is key to bliss. Death is separation of the soul from the physical body. Death becomes the starting point of a new life. Death merely opens the door to a higher and fuller form of life. Birth and death are jugglery of maya. He who is born begins to die. He who dies begins to live. Life is death and death is life. No one comes, no one goes. Brahmn or the eternal alone exists. Just as you move from one house to another, the soul passes from one body to another to gain experience. Just as a man casting off worn-out garments takes new ones, so the dweller in this body, casting off worn-out bodies, enters into others which are new. Life is a continuum. Death is necessary for further evolution. Dissolution of the body is no more than sleep. Birth is like waking up. Death brings new life. A man of discrimination is not afraid of death. Death unlocks the door to a wider existence. The soul is a circle whose circumference is nowhere but its centre is in the body. Death means the change of this centre from one body to another. The Supreme Soul or Param-Atman or Brahmn is deathless, decayless, timeless, causeless and spaceless. It is the source and substratum for body, mind and world. There is death for the physical body, a compound of five elements. The eternal soul is beyond time, space and causation. Death is not the end of life. It is merely cessation of individuality. Life flows on to achieve the universal till it merges in the eternal. The easiest way for concentration is Japa (continuous repetition of a mantra) of the Name of the Lord. And a very important point to bear in mind in this connection is that perfect concentration is not achieved in just a day; you should never despair and give up your efforts. Be calm. Be patient. Do not worry yourself if the mind wanders. Be regular in your Japa. Stick to the meditation hour. Slowly the mind will automatically turn toward God. And once it tastes the bliss of the Lord, nothing will be able to shake it. Intellect gives knowledge of external objects. Intellect is the product of Prakriti. In intuition, time becomes eternity. A Sannyasi should shun praise like poison. He should accept censure as if it is nectar. He who is censured sleeps soundly, wakes soundly, but the person who censures perishes quickly. A Hindu monk should not argue, he should not denounce anybody. For the sake of the body, he should not create any enmity. He should not be angry with one who is angry with him; he should be friendly with him who censures him. Desiring for nothing else than the final liberation of the soul, he should wander with his Self as his sole guide. Company with other Sannyasins will lead to talks on politics, talks on Bhiksha, talks about friendship, enmity, jealousy, etc. Therefore company should not be made. He should not crave either life or death. He should be indifferent to thorn. He should patiently await the time when he will be liberated. Never should a Sannyasi even think in his mind to love, hate, supersede, delude, censure or injure other beings. The Sannyasin shines like gold, like the sun, with his orange robe. He renounces the whole universe at a stretch and has nothing to do with anything except the One Self. The Sannyasin has no heat, no cold, no joy, no sorrow, no day, no night, no sleep, no respect, no disgrace, no delusion, no hunger, no thirst, no birth, no death. He has no body; he is nobody. Speak a little. Speak sweetly. Always utter encouraging words. Lead a happy, contented life. Avoid unnecessary worry. Have plain living and high thinking. Reduce your wants. If you have four shirts, reduce the number to three or two. Think of those who do not possess even one-tenth of what you have. Share with others. Never hurt anybody. Control anger by love, forgiveness and compassion. Do not brood over past mistakes. Never fail to fulfill your duties. Why does God not speak to me? What is the obstacle? The answer to such doubts is – The Self surrender is not complete. There is still subtle Moha (ignorance), subtle desires and egoism. The Indriyas (senses) are still powerful and outgoing. These are the obstacles. When these are removed, you can hear the shrill, sweet, inner voice of God. Impure souls mistake the voice of the impure mind for the voice of God. Observe Mouna, or Silence, for a couple of hours daily at any time that suits you. Try to speak little at other times. Avoid unnecessary conversations. Don't talk harsh words and obscene language. Talk sweetly and gently. You must have perfect control over speech. Control over speech means control of mind. The organ of speech is a great distractor of the mind. Silence gives you peace. It removes anxieties and quarrels. It develops your will power. It conserves energy. It reduces the force of Sankalpa or the thought current. Adaptability is a virtue that one can put into practice at once. It is the one quality that will give one success immediately. Adaptability is a virtue or noble quality by which one adapts or fits oneself with others, whatever be their nature. This is the most desirable quality for success in life and has to be developed slowly. One should be flexible if one wishes to adapt oneself to others. The world runs on adaptability. He who knows the art of adaptability gets on quite well in this world and is ever happy and cheerful under all conditions of life. He is free from worry and disturbance. It does not need much wisdom and thought to develop this noble quality. Adaptability is like a strong catgut ligature. It links people in bonds of unbroken love and friendship. A man of adaptability can move about freely with anybody in the world. People love such a man. Adaptability will give one great joy and immense strength. It will develop a strong will. An egoistic man finds it very difficult to adapt himself. He always gets into trouble. He always fails in his attempts. Egoism and pride are great obstacles in the way of developing adaptability. Adaptability kills selfishness. It develops oneness with all. Having this wonderful quality, a man can live in any place. He can bear heat and cold. He can live happily in poor conditions. He can develop a calm and cheerful attitude. This divine quality will ultimately take him to God. Develop this quality. You will win the hearts of all. Only then can you get success in life. If you wish to develop this quality you will have to be humble and loving. Develop Viveka or the power of discrimination. Brahman is real. The world is unreal. There is no vasana or desire in Brahman. The desire is in the mind. Make Vichara (introspection). All desires will dwindle into nothing. Mark the doshas in the objects. The objects are Asat (Non real), Jada (Sentient), Dukha (Sorrowful) and impure. Develop burning longing for liberation. This strong desire for Self-realization will destroy other worldly desires. Control the senses also. Develop Vairagya or dispassion. Give up objects. This is Tyaga. All desires will melt away. The ether in the jar is not in any way affected by the smell of garlic merely through its connection with the jar. Even so the pure Atman is not affected through its connection with the limiting adjuncts, by the properties thereof. Pleasure and pain are the two kinds of modifications of the mind. They are mental creations. They are relative terms. That which gives pleasure to one man gives pain to another. That sage who identifies himself with the Imperishable Self and stands as a spectator of the mental modifications enjoys supreme peace and infinite bliss. Procrastination is putting off till a future time, through lack of resolution. It is postponing or delaying. The foolish man says: “I will rise early tomorrow. I will pray and meditate tomorrow. I will carry out my intentions tomorrow.” But the wise man rises early to day, starts prayer and meditation today, carries out his intentions today and attains strength, peace, and success today. Procrastination is the thief of time. It is the destroyer of initiative. It closes the door to advancement. That “tomorrow” will never come. Tomorrow is too late for any thing. He who sees help and salvation in tomorrow shall continually fall to day. That lazy tomorrow will be like today. What you can do this morning never postpone till the evening. Never put off till tomorrow that which you can do today. 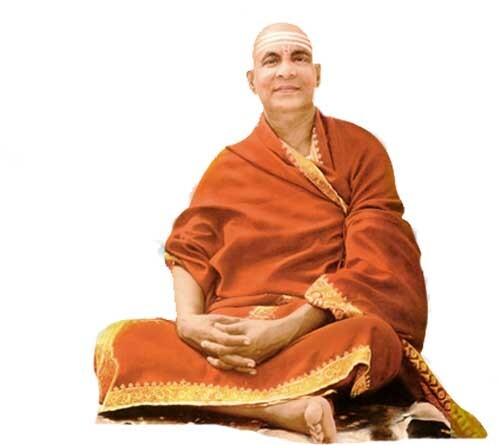 Swami Sivananda on what is True Sannyasa? What the true Sannyasa spirit is not properly understood even by very many Sannyasins themselves. Of course Virakti, solitude, observance of Mouna, living on Bhiksha, constantly chanting Om may all be some of the eternal characteristics of a monk but quite apart from all this is the real inner Bhava which constitutes the basic essence of the Sannyas spirit. This is the absolutely dispassionate sameness to all the pairs of opposites: heat and cold, pain and pleasure, grief and joy, failure or success, insult or honor. The Sannyasin receives and regards them all with same sightedness and with calm forbearance. A Sannyasi is Dwandwatita. To him friend or foe is alike and praise and blame have no difference. How is this so? Why is this so? Because the true Sannyasin is above body. His Drishti should not be based upon Dehatma Bhavana. The Sannyasi always ceaselessly tries to live in the thought that he is pure spirit. ‘Deho na ham, jeevo na ham’ is his attitude. ‘Nitya Suddha Buddha Satchidanandaaham’ is his constant Bhavana. Just as a piece of iron moves in the immediate presence of magnet, even so this insentient mind moves and works in the presence of the Inner Ruler. This point has not been properly understood by the Western psychologists, rationalists, free thinkers, economists, socialists and others. Hence, they are always restless and are groping in total darkness. The vibrations of psychic or subtle Prana manufacture thoughts in the mind. The mind is insentient (Jada) but it appears as Chaitanya (Chaitanyavat) by borrowing the light from the Adhishthana (source) – Atman – just as water exposed to the sun borrows the heat from the sun. Because there is reflection of intelligence in the mind from the background, the source or womb for this mind, this insentient mind appears as intelligent. This is the real truth. This is the bold genuine philosophy of the Hindu sages of yore.